Looking for a Brainery gift certificate? Read all the details and grab on here. Today we have a special guest post by longtime Brainery teacher Andrew Coletti, author of the blog Pass the Flamingo, all about about ancient food. Andrew has rounded up some of his favorite books for history buffs, and we hope they'll inspire you! 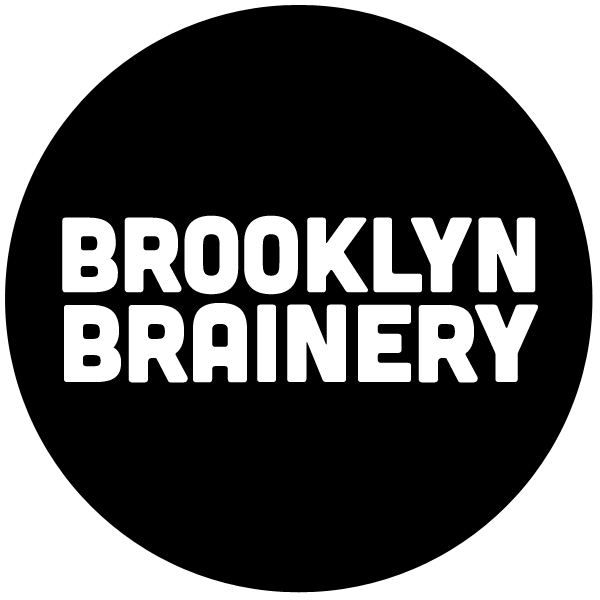 It only took us about 10 years to realize we should probably offer up some Brainery t-shirts! You can order one (or a notebook, tote, or sticker) from Teepublic here in **just about any color and size** under the sun, and we'll keep an eye out for you all rocking them throughout the borough! They're even on sale for the next couple of days, so don't delay. We're coming to Park Slope this fall! Our new spot is in a lovely historic storefront on 8th Avenue + 11th Street, right off the F/G trains to 7th Ave. We have a great lineup of classes already planned (see below!) starting in mid-October.